What do you do, Travel Clinic? BMC has had another successful year, from clinical campus redesign milestones to making significant progress on our environmental goals to ramping up for the March 2018 launch of the MassHealth ACO. 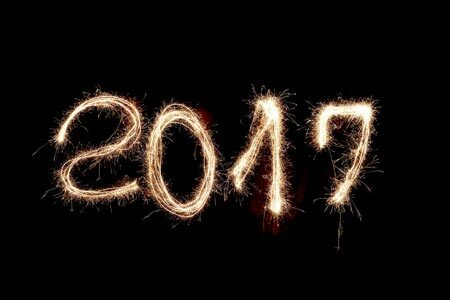 Take a look back at ten of our top milestones and events from 2017. The Grayken Center for Addiction at BMC opened in March, and in May, Michael Botticelli, the director of national drug control policy at the White House under President Obama, came on as executive director. The Center, which was funded with the largest gift in BMC history, builds on our long history of caring for patients with substance use disorders and strengthens BMC’s commitment to revolutionize care for substance use disorders by innovating, educating, advocating, and working to empower and improve the lives of people affected by the disease. 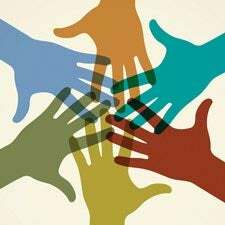 The Peer Connections program launched early in the year with an aim to help BMC employees provide exceptional care for each other by encouraging and facilitating caregivers to support one another and find new, healthy ways to cope with stressful patient experiences and events. Several BMC senior leaders took on new roles in the BMC Health System to help facilitate the hospital’s move to an accountable care model for MassHealth patients. BMC’s chief operating officer Alastair Bell, MD, became executive vice president of strategy and chief operating officer for the BMC Health System. Michael Silverstein, MD, director of the Division of General Pediatrics and vice chairman for research in Pediatrics, became BMC’s associate chief medical officer for research and population health. Betsey Eltonhead also joined BMC as executive director of Boston Accountable Care Organization. In March, BMC installed a new combined heat and power plant (cogen) on the roof of the Yawkey Center. The cogen allows BMC to generate much of its own heat and electricity and operate more efficiently. BMC also opened the rooftop farm on the Power Plant in May. Since then, the farm has produced over 5,000 pounds of food for our cafeterias, patient meals, and the Preventative Food Pantry. The farm, cogen, and other green initiatives were recognized by Becker’s Hospital Review, which named BMC one of the 60 Greenest Hospitals in America. Becker’s Hospital Review (the “People Magazine of health care,” according to president and CEO Kate Walsh) named BMC as one of the 150 best places to work in healthcare and one of the 100 great hospitals in America. In September, BMC held the first BMC Nation Day, to honor BMC’s pride and culture. The event celebrated the hospital’s past and looked forward to the bright future, which includes all the amazing talent, programs and services that make BMC great. BMC is nearing the finish line of the clinical campus redesign, which will be completed in 2018. This year, the hospital has opened the new ICUs, family waiting room, Radiology suite, and PACU. These improvements will help us create a more modern campus, providing patients, families, visitors, and employees with spaces that will improve patient care and experience. Our campus will also become more efficient and sustainable in the redesign. BMC invested $6.5M in affordable housing for the communities the hospital serves, with the aim of supporting housing and the support services patients need most. The money will be invested in a diverse group of community partnerships in neighborhoods where many of BMC’s patients already live, which will enable them and other residents to access a larger pool of stable, affordable housing. This, in turn, will reduce risk for health conditions directly tied to unstable housing, such as asthma, depression, and lead exposure. In 2017, BMC was 15th in NIH funding of 75 independent hospitals nationwide. The hospital received $116M in funding. Much of BMC’s research received national recognition, such as a study showing that yoga and physical therapy yield similar results in treating chronic low back pain. Boston Magazine’s annual list of "Top Docs" included 109 BMC physicians. As in years past, BMC was strongly represented in numerous fields and specialties. In addition, six full-time and eight part-time BMC dentists were named as "tops" in their respective fields on Boston Magazine’s first Top Dentists list. Nearly one in four patients admitted to Boston Medical Center doesn’t have a place to call home, and one in three families that comes to BMC’s pediatric emergency department is housing insecure. These patients are at heightened risk for health problems like asthma, lead exposure, and depression, conditions directly tied to unstable housing. So when the state required BMC to make a community health investment as a condition of approval for its clinical campus redesign, as is standard, BMC, led by Megan Sandel, MD, a pediatrician and principal investigator at Children’s HealthWatch, and Thea James MD, Vice President of Mission and Associate Chief Medical Officer, proposed a creative way to put all the $6.5 million into housing solutions for the community. BMC isn’t building its own housing units or serving as a landlord; instead, it is investing $6.5 million over five years in a diverse group of community partnerships in neighborhoods where many of our patients already live, which will enable them and other residents to access a larger pool of stable, affordable housing. Our housing investment, the first by a Boston teaching hospital, adds to a growing national trend of hospitals supporting housing to improve patient outcomes and community health, as well as to cut health care costs. The end goal is stronger and healthier communities. Examples of BMC’s investments include a $1 million, no-interest loan and $400,000 operating subsidy to support a Good Food Markets in a new housing development in Roxbury; a $1 million stabilization fund to provide grants to community organizations that help families avoid eviction; and $1 million to the Pine Street Inn, the Boston Health Care for the Homeless Program, and other community partners to create a housing stabilization program for individuals with complex medical needs, including substance use disorder. Several of the projects involve wrap-around services, including wellness initiatives and social services, which have been shown to make affordable housing programs even more successful. The investments will be studied closely, in an innovation lab approach, to determine the most effective ways that hospitals can support patients, the community and housing partnerships, so the impact will be felt far beyond the families that will get immediate help. BMC partnered closely with community organizations and city and state government, listening to their needs, as the investment plan was developed. Norman Stein, BMC’s Senior Vice president for Development and Chief Development Officer, was also involved in reaching an agreement on the community investment with the Massachusetts Department of Public Health. "We are pleased with BMC’s decision to invest in affordable housing as part of its community health initiative,’’ said Public Health Commissioner Monica Bharel, MD, MPH. ``We hope this investment in housing and other social determinants of health becomes a model for how to improve health outcomes for patients." The community health investment was also applauded by city government. "Boston Medical Center has shown time and time again that it is a true community partner, and will continue to focus on the wellbeing and long-term success of all Boston residents,” said Mayor Martin J. Walsh. “Their investment shows that not only do they recognize the underlying issues facing many of our residents, but that they are committed to being part of a solution." 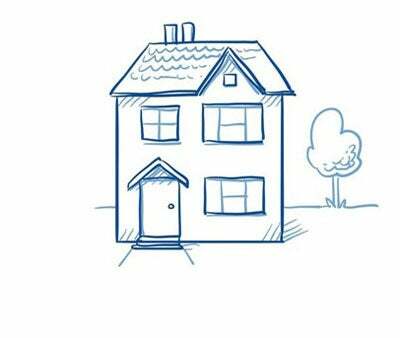 Research has shown that stable housing improves patient outcomes and also reduces costs to the health care system. Patients living in poverty in the United States are often the most costly to treat, in part because of their lack of a stable home. Nationally, five percent of hospital users are responsible for half of health care costs and most of those patients are living below the poverty line and are housing insecure. "Projects like these fit both our mission and our margin here at BMC,” said Sandel, who is also the associate director of BMC’s GROW clinic. “There is a direct health benefit, which in turn creates significant savings in health care spending. Most importantly, though, we are building healthy communities, where families can thrive financially and physically." A vital component of the project is the innovation lab that will study how effective the projects are at improving patient health and reducing costs. The data collected will be analyzed in order to create a national model that other hospitals and health systems can use to invest in housing. "We have a tremendous opportunity here to lead national efforts on investing in the health of our communities by providing stable, safe housing for families in need,” James said. “It is programs like this that will lead us toward our goal of making Boston the healthiest urban population by 2030." Growing up in South Trinidad, Rohan Sookraj and his sister Sita learned at a young age about the importance of helping others. Their family instilled these values in them, and when their parents died years ago, the siblings chose to honor them by giving back to their community. In 2010, Sita began collecting funds in Trinidad to help the children in their hometown. Rohan had moved to Boston in 1988, but wanted to help from afar. Knowing Rohan had been making his own pepper sauce, Sita suggested that he try to sell the sauce as a way to collect donations for the children of South Oropouche. Rohan, whose friends call him “Ro,” is a materials supply assistant lead who has worked at BMC for 26 years. Other nicknames include “the pepper guy” and the “hot sauce man.” Growing peppers has been a passion of his for as long as he can remember. Sita’s hot sauce idea worked, and for the first few years of the fundraiser, Rohan and his sister collected enough donations to throw a party and provide gifts for 50 children in Trinidad who otherwise may not have had a holiday celebration. Rohan’s BMC colleagues were supportive of his efforts, too, and made regular contributions to the cause in exchange for Rohan’s special pepper sauce – a $20 donation got them an 8 oz. jar. In 2014, Rohan’s dedication to others earned him a BMC Be Exceptional award, which got him thinking about ways he could help his community here in Boston. Earlier this year, Rohan assisted with a supply chain delivery with Richard Guarino, associate director of supply chain operations, to the SPARK Center at Boston Medical Center in Mattapan and was quickly moved to help after meeting the Center’s children and staff. The SPARK Center provides services to children and families whose lives are affected by medical, emotional, or behavioral challenges. Most of the children at the SPARK Center live in poverty, making it difficult to meet their complex needs. On December 6, Rohan supported a fundraiser at his favorite local restaurant – The Frogmore in Jamaica Plain. Bar manager Alex Homans organized and promoted the event with a portion of proceeds from the night directly benefitting the SPARK Center. Since August, Rohan has been planning a holiday fundraiser for the SPARK Center, collecting donations from BMC colleagues and the local community in exchange for his hot sauce. 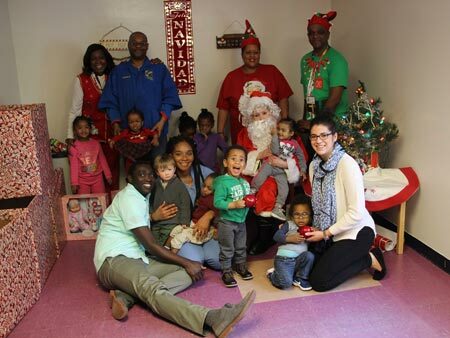 On December 11, he hosted a holiday party for the staff and the 32 children at the SPARK Center with personalized gifts, pizza, cake, and even a visit from Santa, played by Rohan’s wife, Marilyn. At the party, Rohan presented the staff with a check for $550 collected from the Frogmore fundraiser. “We are so appreciative of the outpouring of generosity from Rohan and his wife as they purchased, wrapped, and delivered a bounty of gifts for The SPARK Center children!” said Barbara Hughes, operations director of the SPARK Center at BMC. 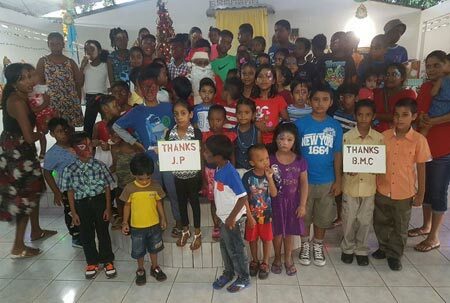 This year will mark the largest party yet in Trinidad, with 200 kids slated to benefit from holiday gifts and festivities on December 23 – all thanks to the generosity of BMC colleagues and the local community. Rohan is incredibly thankful for the support he gets from BMC. “I’m moving mountains, clearing the path, and making way for more,” he said. If all goes well, that path may even include a collaboration with BMC’s rooftop farm next growing season. The holidays are the season of giving, but at BMC, giving exists year round through the hospital’s Employee Giving Campaign. The campaign allows staff to donate to many areas of the hospital via weekly paycheck deductions that are tax deductible. Areas that employees support include the Preventive Food Pantry, SPARK Center, Birth Sisters, Cancer Patient Support Services, Elders Living at Home, Child Witness to Violence and more. In 2018, the Employee Giving Campaign is also raising funds for Building the New BMC, which is funding the campus redesign. Projects such as the new Preventive Food Pantry, The Teaching Kitchen, rooftop farm, Women and Infants Center, and the state-of-the-art spaces to come help BMC provide exceptional care to patients. They are a crucial part of making a difference every day in the lives of our patients. “Recently my informatics and training team supported the BMC food pantry but donating 28 turkeys and all the fixings. We all had so much fun and knowing we made a difference was key! I have been blessed to have worked at BMC my entire career. I also have been blessed with a wonderful and supportive family. Thanksgiving is my favorite holiday and being able to help 28 needy families enjoy Thanksgiving with a turkey dinner was special. “I started my nursing career at Boston City Hospital left and came back after what I call my ten year sabbatical. During the years, I have seen many changes in the institution, from a city hospital to Boston Medical Center. Through all the changes in the organization and evolution in health care, what has remained the constant commitment of BMC to our patients, families, and the community. We provide care not only when our patients are ill, but also outreach to the community in a variety of programs. For more information on employee giving, visit the employee giving section of the Development Office website. 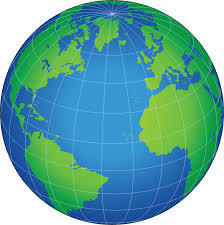 Have you traveled outside the United States recently? If not (or even if you have! ), you might not know about BMC’s Travel Clinic. The clinic, which is part of the Department of Infectious Disease, serves both employees and patients who are traveling soon or who need care after returning from a trip. From vaccinations to medications to general travel advice, the Travel Clinic has what you need to keep yourself healthy and safe while traveling. Whether or not you have a holiday trip planned, read on to find out more about the Travel Clinic. Q: What does your department do? A: The travel clinic prepares patients for travel by providing necessary immunizations and medications to prevent travel-related illnesses such as malaria. We also provide counseling on how to stay healthy during travel. Q: What’s a typical day like for your department? A: We see patients in the clinic all day. We try to spend sufficient time with each traveler during their visit to review their itinerary, past medical history, and immunizations, and then spend time counseling them about safety measures for their trip. At the end of the each visit, we give patients special travel-related vaccines and updates on routine vaccines when necessary. Q: The holidays are a busy time for travel. How can employees keep themselves safe as they travel, whether they’re going a few towns away or around the world? A: There are many travel-associated risks, from motor vehicle accidents to stomach bugs. Simple safety measures including seat belts (whether in Boston or Bangladesh), helmets for cyclists, and good hand hygiene can go a long way. Travelers should also avoid food that may not have been correctly stored (e.g., street vendors on a hot day in the Boston Common or in Accra, Ghana) and use common sense about what beverages to consume, which means avoiding water out of the tap in many parts of the world. Q: What’s one thing staff probably don’t know about the Travel Clinic? A: In addition to preparing people before they go on their trip, we also care for those who return home ill. We see patients with a variety of travel-related "tropical" illnesses ranging from dengue fever to intestinal issues. We also treat people with infections from travel in the past and migrants who acquired infections early in life, such as Chagas disease and other rare parasitic infections. Q: What does your department like most about working at BMC? A: We get to interact with a wide range of travelers. Because BMC cares for many foreign-born individuals, we often see travelers going home to visit friends and relatives in exotic locations. The clinic also caters to BU and BMC faculty and staff before they travel. It's always interesting to hear about where and why someone is traveling and to work with them to optimize their health while overseas. We feel privileged to work in an institution that recognizes the importance of keeping patients and staff healthy during travel. To make an appointment at the Adult Travel Clinic, call 4-4290. To make an appointment at the Pediatric Travel Clinic, call 4-4841. Kate Walsh, president and CEO, was named to the inaugural Boston Business Journal list of Women Who Mean Business. The honorees were chosen for their professional achievements, leadership, entrepreneurial skills, and community service. The award noted Walsh’s long career in large hospital management and her positions on many nonprofit and university boards. Witzburg attended medical school at BUSM and has been a member of the BMC community ever since. He was an internal medicine resident at Boston City Hospital and has since held numerous positions at BMC, from internal medicine physician to first chief of the Section of Community Medicine to associate chief medical officer, and many others.